A million miles from anywhere. What better place to unwind? Stepping off a plane at Alice Springs airport is like stepping into a slower pace of life. It sounds contrite, as you could say the same thing about arriving in plenty of places. But after you've craned your neck to see out the plane window at the variety of red, orange, yellow and even green hues below you when you fly in, it's clear you are somewhere very different and totally unique. As Alice Springs doesn't have the immediate mountainous impact that some mountain bike destinations, you're removed from that sense that you have to go, get moving, get on your bike, get rad and get onto social media. 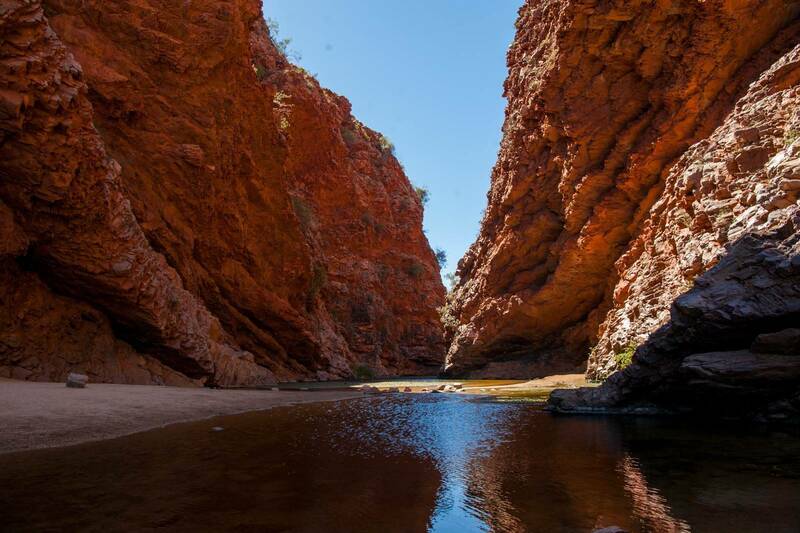 The landscape in Alice Springs hasn't changed for millennia – and it's not about to. Arrive. Relax. Then ride. Here at AMB we've made the trip out to Alice Springs a number of times, and almost always for one of the mountain bike events here. From Easter in the Alice, through to The Redback which is the current guise for the original Red Centre Enduro. 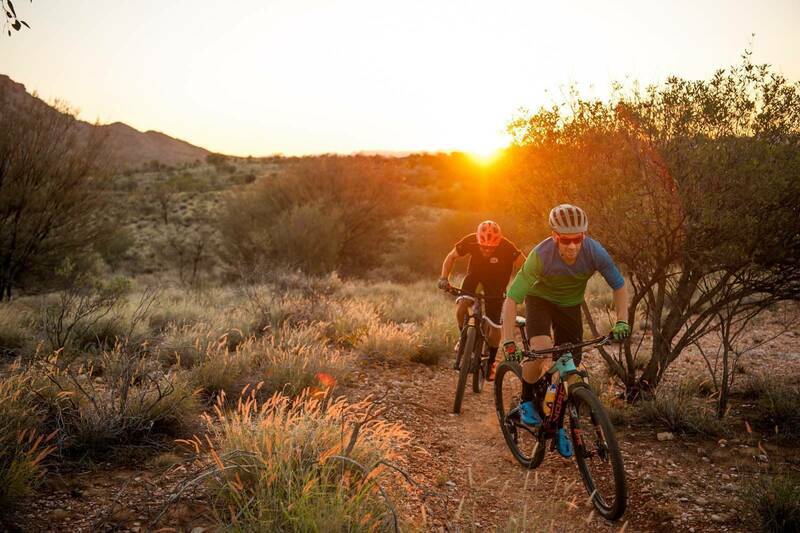 And while we are believers that a mountain bike event can be one of the best reasons to visit a place, the trails in Alice Springs and the infrastructure around them are beyond the point where you need to be part of an event to find them all. 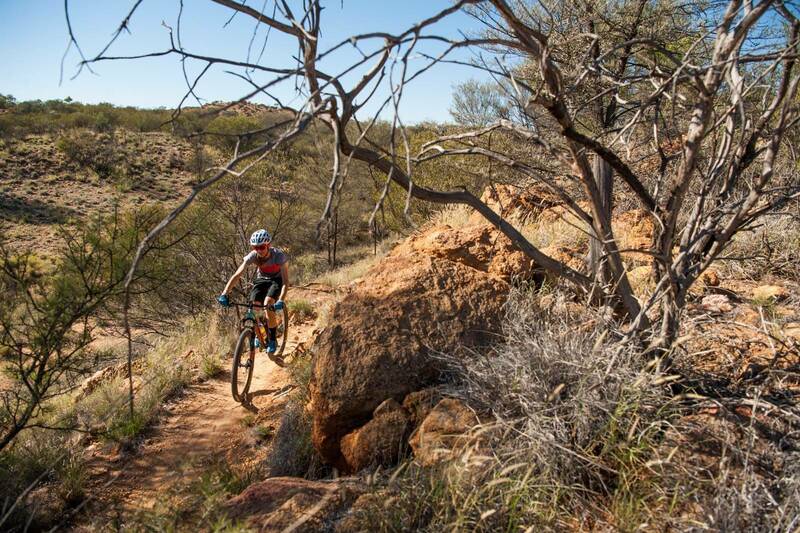 Depending what local mountain biker you speak to, you'll hear a variety of claims about how many trails are built in and around Alice Springs. Trail building is something of a past time and we have heard claims of 150km of trail snaking around this outpost in the Northern Territory, and even grand claims of 400km of singletrack. Whichever it is, it's not stopping there. The trails in Alice are unlike anywhere else. They flow through the terrain following a mix of natural lines and step ups and down over rock shelves and jagged formations. The surface is almost always dry, offering a magic balance of gripping and drifting, depending on your speed. And thanks to the topography, there are no big climbs, but you're rarely in sight of the town and you can feel miles from anywhere while still only being 30 minutes or less from the comfort of your hotel. 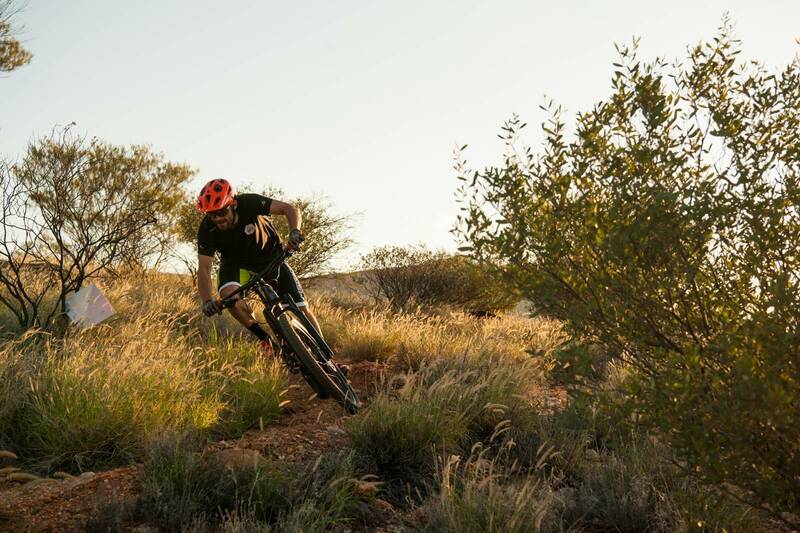 Existing trails are in the midst of being updated and marked with the addition of a new trail head and trails, and there is a new adventure trail heading out from Alice Springs under way, offering a completely different mountain bike experience to what is currently possible in the Red Centre. We wanted to find out more. Martin Krieg works for Parks and Wildlife, and is their man on the ground for mountain biking in Alice. The Northern Territory Government has had a master plan drawn up for mountain biking – and it's only just getting started, as Marty explains. “The first part of our master plan is to consolidate and update all of the informal trails around town. They've all evolved from a grassroots level, but some of the trails at the Telegraph Station are all maintained and endorsed by Parks, so there is an annual maintenance budget and so on.” If you have been out to Alice Springs since 2014, you will have ridden on the formalised trails, and no doubt found the signage useful. But this is just the start of bringing the singletrack network around Alice Springs to a legitimate level. The trails on the western side of town are next. “On the west side of town, we're developing about 20km of formal trails there. Three-quarters will be existing trails that will be upgraded, plus some new trail.” The Telegraph Station is the current hub for mountain biking, but everyone knows the trails to the west are top notch as well – and in time these trails will have their own trail head and signs, like the Telegraph Station. But other formalised trails are just awaiting their formal launch. But hang on, lots of these trails are there anyway. Signs and formal trail heads are great – but what exactly does formalising the trails do? Marty assured us it future proofs them, and means he has a maintenance budget to make sure the trails are built properly and maintained so they will be there even after rain and heavy use. “There are more grade reversals, better drainage, and we try to use the rock features more,” explains Marty. In some cases it means shutting down some of the older worn out trails. Marty says there are about 60km of formalised trails right in town. And this year they will do more upgrades on the east side of town. That will be an extra 25km of singletrack fully signposted and brought up to an IMBA standard. 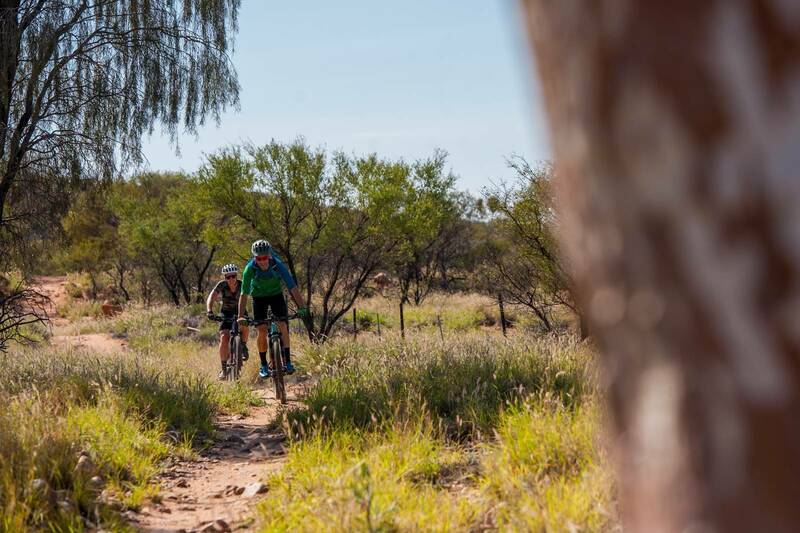 As it is, events are a drawcard for mountain bikers to Alice Springs, and the trails really suit the intermediate level cross-country and trail riders who visit. But Marty explained that they're working to expand the variety of trails on offer. 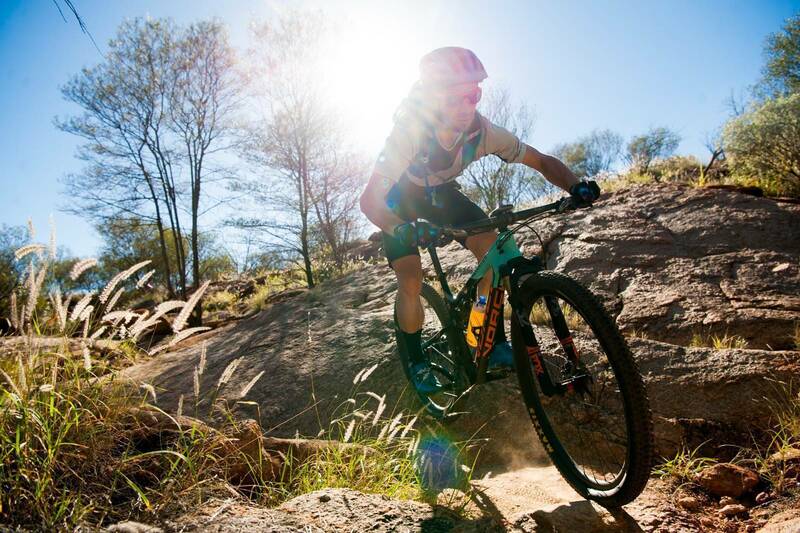 Events are a big part of what brings mountain bikers to Alice. “It was very clear from early on that the trail network here is very much a cross-country trail network. Not that there's anything wrong with that. We're trying to diversfy that a bit, with better quality green beginner trails and some higher level black diamond trails. To the extent that the terrain allows it we want to get some more all-mountain style of riding.” But what does that look like exactly? 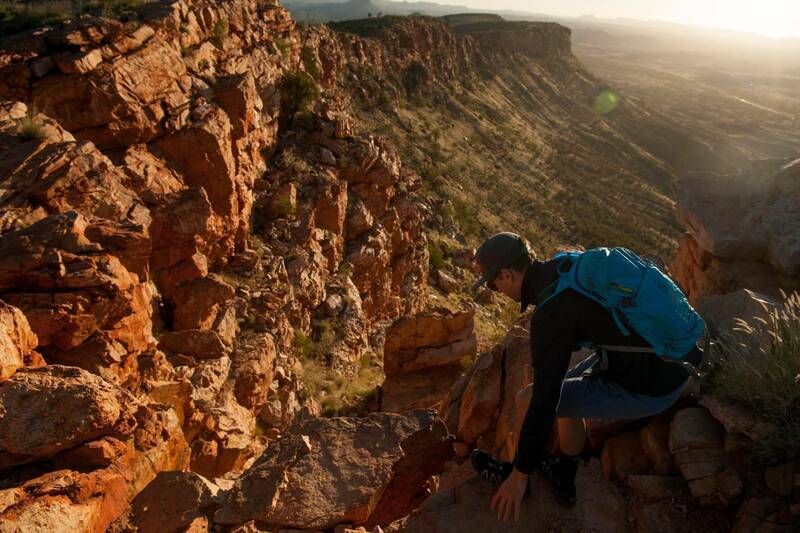 Alice Springs isn't flat, but we can't imagine trails being carved into the Western MacDonnell ranges. Marty explains it will involve using more of the rock features that trails often carve around. Additionally, it's about putting in trails that are also easier for casual riders. Having trails that suit a broader variety of riders is so important for a tourist town like Alice Springs. While we love the idea of more advanced trails being added to the already super-fun trails on the ground, having trails to just chill on, or something you can roll out on with kids or significant others who don't ride much is a perfect addition. But there's more. 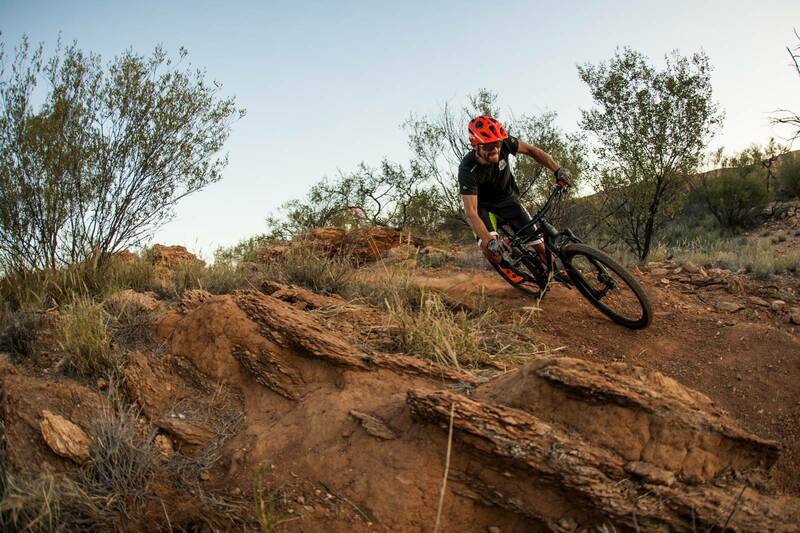 A $12 million dollar Red Centre Adventure Ride has been earmarked in that same master plan for the Territory, and so far there has been mixed feedback, with reports that it will cost $50 a day to ride the trails. Marty is quick to point out that a fee isn't formalised yet, but also what the trail will entail. So instead of being a massive trail centre around Alice, which is already there and free to ride, this new project will be a long distance trail, modelled off muli-day walking routes in Tasmania and other places, with well-designed eco friendly camping and lodging options. The fee would likely be absorbed into the cost of a guided tour by the people you're paying to cart your gear, and cook for you. This isn't a trail development for a razz after work – this is an experience to take you into the great nothing of Central Australia. And any fee will go towards the immense infrastructure costs of getting power and water to campsites. “It's going to be pretty challenging making sure the trail and infrastructure in culturally and environmentally sensitive. But the exact opening date needs to be finalised. The intention is to have it finished by the end of 2019.” But that's not the end of it. Marty assures us there are plans for more shared use trails around Katherine Gorge, and opening up walking trails to mountain biking. There's even talk of opening up waterholes for mountain bike access up around Litchfield, and further developments in Darwin. Clarke Petrick is one part of Outback Cycling, who run tours a bike shop and bike hire both at Uluru and in Alice. Clarke and his wife Justine are a crucial part of cycling's growth in the Red Centre, and the news about further expansion fits the demand. “On the tours riders get interesting history and geology, and indigenous stories. It suits the full-on mountain biker but as a tourist there's that experience too. Better on a bike than a bus!” Clarke enthused as we asked about the tours they run. But the chance for a long-distance route to come to Alice is exciting, especially to truly experience the area. “It is really important we have something of scale,” said Clarke, adding that the new infrastructure will draw the focus away from Alice Springs and further into the outback. It's a broader experience for any visitors, and offers a greater chance to engage with the country, the people and the stories. We stayed on in Alice Springs for Easter in the Alice, and experienced everything you'd expect from a visit to the Red Centre. We rode dry trails, saw brilliant sunrises and epic sunsets. We went to swimming holes with locals, hiked up Mt Gillen, and soaked up the warm, dry air. Best of all – we slowed down. Alice Springs is the throbbing heart of Central Australia, but the pulse isn't so fast that it's not a holiday. 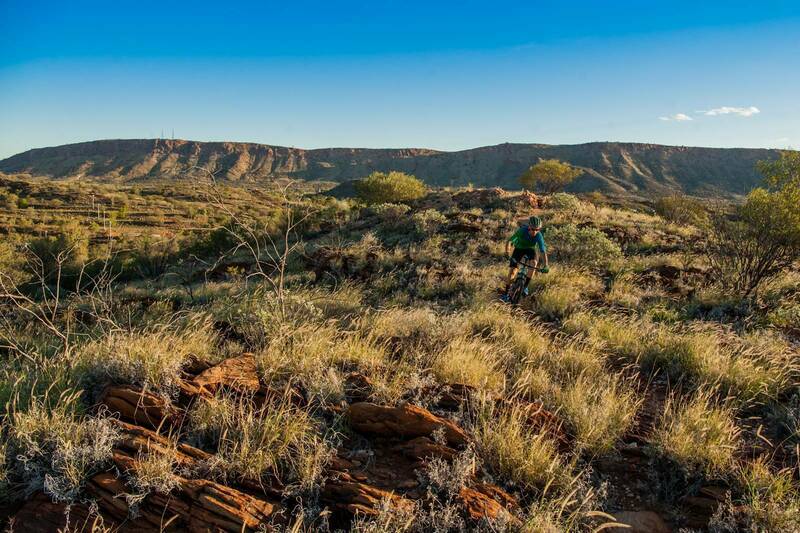 We can't wait to see how the mountain bike master plan plays out, allowing further access to the great nothingness of red rock, blue sky and desert trails in Central Australia. Don't miss a trip to the Alice Springs Desert Park. This is great to do at the start of a visit, as you'll find out so much more about everything you'll see on your experience in Alice. 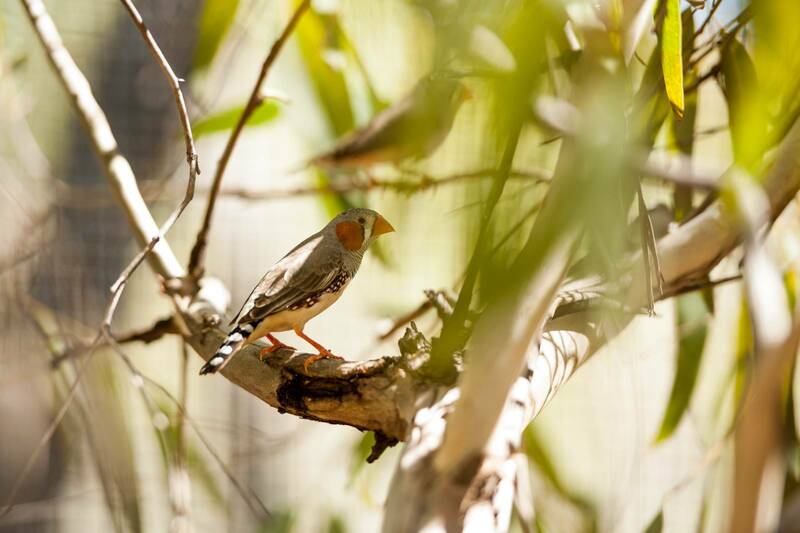 Make sure you time your visit for the bird show – it's well worth it! 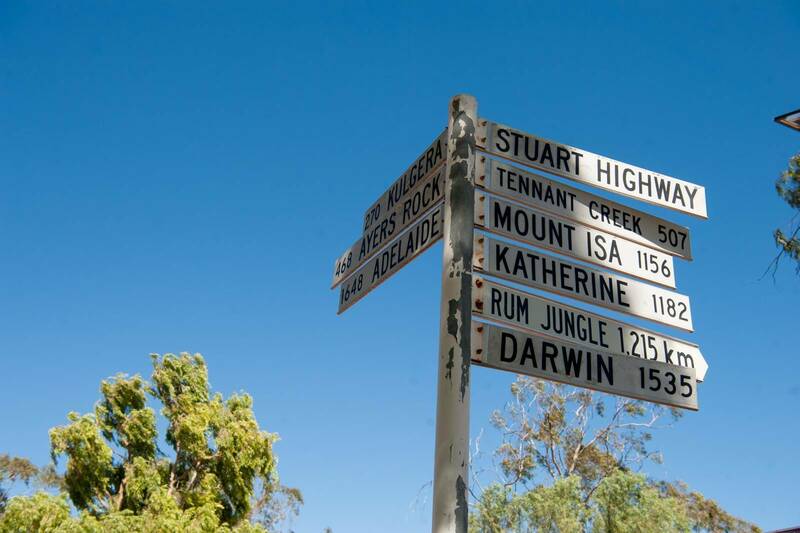 Pack your hiking shoes and walk up to Mt Gillen, which overlooks all of Alice Springs. The informal trail runs from the back of Flynn's Grave, and allow at least 3 hours for a round trip. The top section is a true rock scramble with a little bit of climbing involved. Book a morning with Outback Quad Adventures, and experience Undoolya station at high speeds aboard a Polaris quad bike. This is no sedate tourist paced ride – get ready to hold on tight! Swap the bike saddle for the back of a camel. The gentle roll of a tour on a camel shouldn't be missed, and this is a great way to end the day as the sun goes down – we recommend the sunset option. Want to eat out one night? Then book in with Bob Taylor. Experience a dinner party setting with top quality food based on flavours of the Australian bush. An experience not to be missed.